The passageway remains of the mortuary temple adjacent to the Pyramid of Menkaure (not pictured) with the Pyramid of Khafre in the background. 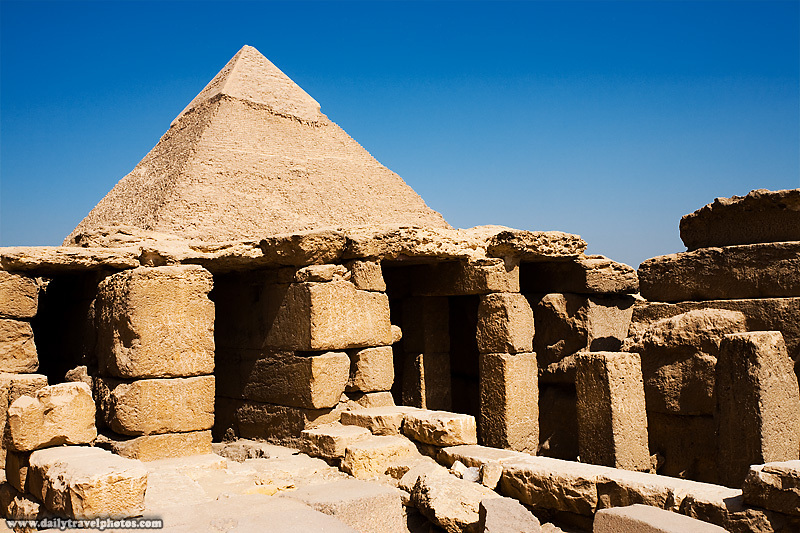 The funerary (aka mortuary) temples were built adjacent to most pharaoh's tombs in order to commemorate the reign of the pharaoh as well as to worship him after he passed into the afterlife. The Pyramid of Khafre stands at the edge of the city of Cairo. In case I hadn't beaten a dead horse enough, we should all know by now that the Sphinx is tiny. 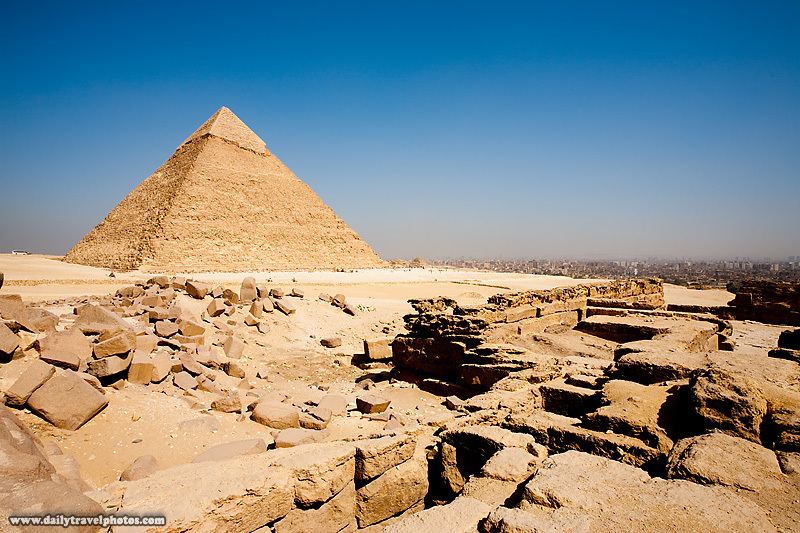 The other shock to most people upon arriving at Giza is the discovery that the entire pyramid complex is located directly adjacent to Cairo. Most well-known photos show a desert background, unlike this one which points into the heart of the bustling metropolis.